Computer Sales/Repair - Starr Computer Solutions, Inc.
We sell Custom-Built new computers that are upgradeable, to whatever specks fit your needs or wants! Our systems are serviceable here, by our own staff. You get prompt phone support, fast on-site or drop-off service when you need it, and the best computer systems available. 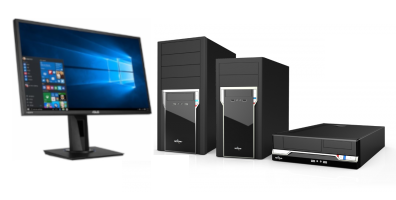 In addition to custom-built, we also have access to many pre-built systems as well. We also have a full range of upgrade options, accessories, and peripherals in addition to many software titles for your new or existing computer. Let us clean your PC of viruses and spyware, add memory or upgrade your hard drive. Professional, courteous service to get your business back up and running.